The Short Stories Club: The Bridge. A list of excuses flicked through her mind. An ill grandmother. An urgent report for work. A cousin’s engagement party. Dina opened her mouth to respond, then turned away and stared moodily out of the window. They continued driving along the dusty road, passing towering oak trees and old ramshackle houses. Peter looked over at her, and she was surprised to see worry creasing his brow. “Dina, I’m concerned.” His voice sounded hollow in the silence, broken only by the whistling of the wind outside the car. She turned away from him, her heart starting to race as he spoke. “We’d happily say it to your face, except you’re never around,” Peter replied. “I had to take my mother to the dentist!” Dina exclaimed indignantly. Dina opened her mouth to respond, then turned and wrenched the car door open. “Stop,” Peter called as Dina leapt from the car. He clambered out of the driver’s side as Dina marched away, kicking up a trail of dust as she went. She turned and continued marching down the road. “Stop, Peter!” Dina cried over her shoulder. “Just stop!” She began to run, and Peter jogged to keep up. The wind was whipping across his face, and he was squinting against the cloud of dust. She veered off the road and, pushing through a cluster of tangled bushes, ran towards the tall iron bridge. Her feet clattered across the dry surface, sending dust and dirt tumbling through the wooden planks, cascading silently through the air before being swallowed by the river below. 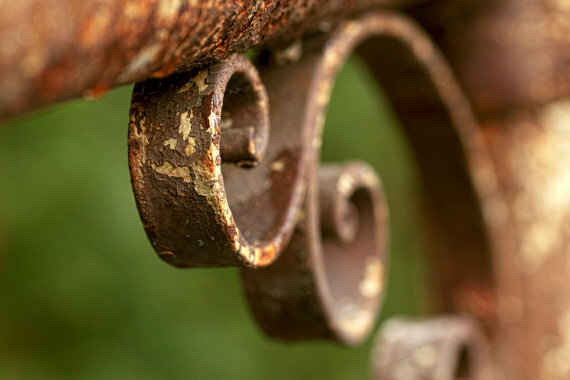 Breathing heavily, she leaned against the rusted barrier. Once a work of art, the bridge now stood encrusted with grime; its railings, steadily fading under the merciless sun, were a ghost of beautiful, intricately-curved iron. Peter slowed down; the wooden planks creaked under his feet as he walked across the bridge, stopping beside Dina. They stood quietly, looking down at the river as it raced along far beneath them. Dina didn’t reply. She was looking away from him, staring down at the river, her hair being whipped across her face by the breeze. “Peter,” Dina suddenly cried, spinning round to face him. He looked and saw tears pricking her eyes. “You have no idea what it’s like!” Her voice shook with emotion. “I had my freedom ripped from my fingers! I had to struggle for every breath!” She began to sob. “Do you know what it’s like to wonder if you’ll ever see the light of day again? Do you have any idea what it’s like to be completely helpless?” Her hands were trembling as she wiped the tears from her face. “I can’t just - just pretend everything is normal again! Things will never be normal.” She buried her face in her hands; Peter stepped forward and gathered her in his arms, hugging her tightly as she sobbed. Pushing away from him, she looked up into his face; he saw anger flash across her eyes. “Don’t tell me how to feel!” she cried. She turned away, leaning against the iron barrier again, looking out towards the river. Peter stood beside her, his hands resting on the barrier. “Just give it time,” he said. Dina let out a heavy sigh. The iron railing felt cold and solid beneath her skin. Taking a sudden breath, she hoisted herself up so she was sitting on the railing. Carefully positioning her hands, she spun her legs around, so they were dangling over the edge; she felt a wave of panic swoop through her stomach as the empty air dropped away beneath her feet, the water rumbling along far below. With a sudden movement, she pushed forwards. Lunging towards her, Peter’s scream echoed throughout the valley as Dina fell into the air. Eyes closed, the wind was roaring in her ears; her arms were outstretched, her dress billowing out behind her. Peter watched in horror as Dina disappeared beneath the surface of the rushing river. Turning, he ran from the bridge, racing towards the edge of the river, tripping as he fought his way through thick vines and hidden roots. Yelling out Dina’s name, he desperately scanned the river’s bubbling surface until he spotted her, struggling for breath as the water sloshed around her face. Throwing himself into the water, he fought against the icy current, gasping for breath, wrenching vines and branches out of his way as he swam closer. His hand closed around her arm, and he dragged her from the clutches of a twisted tree branch, pulling her towards the riverbank. Spluttering for breath, they both collapsed on the ground, breathing hard. Dina began coughing, her body shaking under her wet clothes. Pressing his face against the cold ground, his chest heaving with exhaustion, Peter suddenly heard Dina laughing. Pushing away from the ground, he sat up, struggling for breath. Dina was hunched over, her matted hair covering her face; her eyes met his and she smiled broadly. “Why - why are you laughing?” Peter choked. Sighing heavily, he pulled her close and hugged her. They sat shivering by the water’s edge; Dina’s laughter, broken by sobs of exhaustion, echoed throughout the valley as the river hurtled past behind them. He kissed the top of her head. Smiling, he whispered, “You did it."